German magazine Der Spiegel have not let up on Manchester City as they publish the fourth and final chapter on the alleged shady dealings of the club as they built themselves from underachievement and mediocrity into one of the world's footballing elite in less than a decade. One shocking allegation from 'Chapter Four' focuses on the way that former manager Roberto Mancini was supposedly paid. It has already been suggested that sacking the Italian left City with a revenue shortfall that was apparently covered by the alleged manipulating and backdating of sponsorship contracts, but now it has also been claimed by Der Spiegel's 'leaks' that Mancini's time at the club was equally subversive. 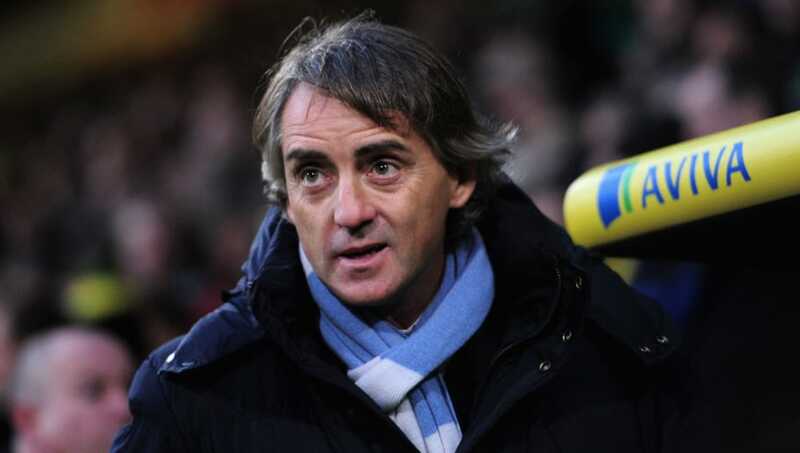 According to the publication's latest claim, Mancini signed two contracts the day he was hired as City manager in 2009. One was with City, but the second was with Al-Jazira as an 'adviser', an Abu Dhabi-based side also owned by Sheikh Mansour. What's more, Al-Jazira allegedly paid Mancini a greater base salary than City - £1.75m annually, compared to £1.5m in Manchester. "We have some payments that require to be made by Al Jazira. We will need to send monies to ADUG (Abu Dhabi United Group) and ADUG will then pass on to Al Jazira with payment instruction," is the alleged content of one leaked email from a City executive in 2011. Der Spiegel claims Mancini's contract with Al-Jazira was most likely a 'pretext', explaining: "In 2011, at least, money destined for Mancini made its way from Manchester to Al Jazira and then into a discrete offshore shell company in Mauritius named Sparkleglow Holdings." Not shady but more simply an example of the capitalist approach adopted in the growing collection of global clubs that now fall under the City Football Group. City have sister clubs in the United States and Australia, but CFG further owns stakes in Girona in Spain, as well as teams in Uruguay and Japan, cooperation agreements in Scandinavia and an African youth academy. It is designed as a way to identify cheap talent at the source as well as have a stage for talent not ready for the City first team to develop to a point where they can either be brought to Manchester or sold in the transfer market for profit. An internal club presentation from 2016 Der Spiegel claims to have seen explains that Uruguay was seen as an attractive location because of the 'concentration of quality footballers & limited budgets of local teams'. That same presentation apparently suggested that using Torque in Uruguay 'should lower player acquisition costs', while documents allegedly noted a positive that it isn't necessary to pay tax on profits generated from player transfers. Elsewhere an purported concept paper allegedly explained, "It's crucial for Academy players development to play in competitive men's football. Means CFG needs to develop other pathways to provide Academy players the opportunity to play." They have done that through their global network of clubs, sending players on loan to Girona in La Liga, for example. Pablo Maffeo played over 60 games on loan for Girona, helped the club earn promotion and stay afloat in the top flight. He has since been sold by City to Stuttgart. While there is nothing criminal about using players and clubs in such a way, for a system to be in place that is seemingly so driven towards profit leaves an uneasy feeling among football purists. Overall, City's value has increased at least tenfold since 2011 alone - from the relatively minimal £100m Sheikh Mansour initially invested to buy the club in 2008 to a point where Chinese businessman Li Ruigang invested £265m in exchange for a 13% stake in CFG in 2015. Der Spiegel argues, "City Football Group represents football capitalism in its purest and most successful form. In football, it's not just survival of the fittest, it's also survival of the richest." Throughout this series of articles from Der Spiegel, City's position has remained firm and unchanged, with a spokesperson telling the German publication upon request for comment, "The attempt to damage the Club's reputation is organised and clear."